Limited Edition – Collector’s Set. A truly unique and fascinating set to showcase in your home library or office. 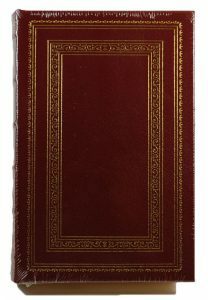 This edition is designed to outlast other printings of The Harvard Classics, and will make an enduring and luxurious addition to your own collection. Leather bound edition. 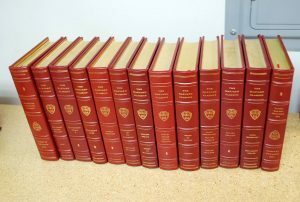 In 1910, Dr. Charles W. Eliot, then President of Harvard University, assembled an exceptional library of “all the books needed for a real education.” This is the complete and full matching set, luxuriously bound in genuine leather. This collection features 1,850 works by over 300 poets, philosophers, scientists, explorers, and many others. The dust-jacket is now in a brand new archival Mylar sleeve by Brodart. A rare collectible item, offered at the original issue price. This item is now OUT OF PRINT from the publisher and will not be available for purchase again. Easton Press, Norwalk. CT. 1997. “We Seven” The Mercury Astronauts. Signed Limited Edition with Full Genuine Leather. No Jacket as issued. 8vo-over 7″-9″ tall. 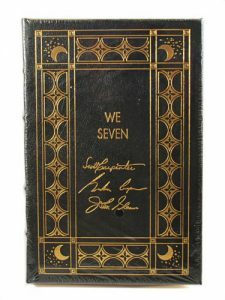 Personally Signed by the three astronauts (Scott Carpenter, Gordon Cooper, and John Glenn) on a special signature page. Limited to only 3,000 copies, this book is still SEALED, brand new and flawless in the original shrink-wrap. Sharp corners without any flaws. Solaris is a 1961 Polish philosophical science fiction novel by Stanis?aw Lem. The book centers upon the themes of the nature of human memory, experience and the ultimate inadequacy of communication between human and non-human species. A Christmas story unlike any other, The Christmas Box is the poignant tale of a widow and the young family who moves in with her. Together, they discover the first gift of Christmas — and what the holiday is really all about. Tracing the lives of a young couple as they discover love, loyalty, and the power of forgiveness, Timepiece is a tale of wisdom and of hope — and a gentle reminder that the connections from one generation to the next are indelible. 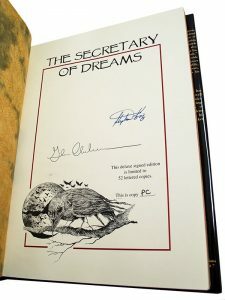 Experience the illustrations from The Eyes of the Dragon in a way that you have never seen before in this Signed Limited Edition of only 300 copies. Artwork has been professionally restored from the originals and reproduced in this portfolio on premium archival paper with a vibrance and scale not possible in the trade printing of the book. This numbered portfolio measures 10” x 15½”. 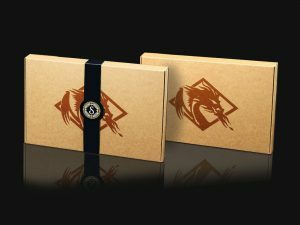 The illustrations are printed on premium archival paper and are housed in a clamshell box of European linen book cloth over archival boards. 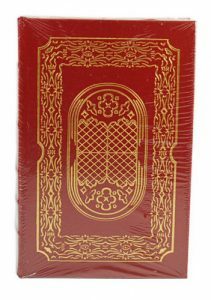 Norwalk, CT Easton Press 2004. Henry Kissinger. 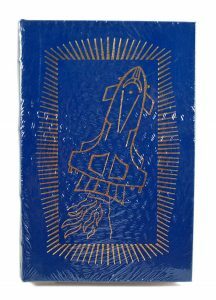 “Crisis”, Signed Edition Full-Leather AN; A special Limited Edition, this copy SIGNED by Nobel Prize Winner and former Secretary of State Henry Kissinger. A wonderful copy of this scarce book in Mint condition, never taken out of its original shrink-wrap. By drawing upon unpublished transcripts of his telephone conversations during the Yom Kippur War (1973) and the last days of the Vietnam War (1975), Henry Kissinger reveals what goes on behind the scenes at the highest levels in a diplomatic crisis. Easton Press, Norwalk. CT. Charlaine Harris “Dead Until Dark” Signed Limited Edition. Leather bound collector’s edition. 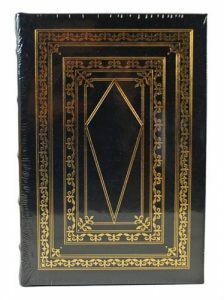 This luxurious leather bound masterpiece from the Signed Modern Classics collection by Easton Press has been personally hand signed by Charlaine Harris on a special limitation page. 312 pages. This novel was the basis for the HBO “True Blood” series. The book includes a Note From the Editors and a Certificate of Authenticity laid in. A very fine copy, still in the publisher’s original shrink wrap. One of the most celebrated works of modern literature. As New. Sealed. The condition is of the highest quality. A wonderful bright clean copy. Free of markings, writings, or stamps. No attached bookplates or indication of any removed. Unread. Not even a single scratch on the gilded page edges. A Collectible Limited ONE TIME PRINTING featuring an introduction by Stephen King, an afterword by Clive Barker, color paintings by David Palumbo, and Special Bonus Features including deleted scenes, two related short stories, and a map of the town by Glenn Chadbourne! 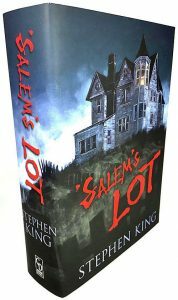 Volume Two in The Stephen King Doubleday Years Set! Featuring full color wrap-around artwork by David Palumbo and full color interior paintings printed on a high-quality glossy stock and tipped into the book! 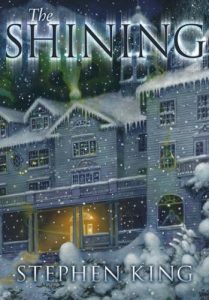 Jack saw the Overlook as an opportunity, a desperate way back from failure and despair; Wendy saw this lonely sanctuary as a frail chance to perserve their family; and Danny? Danny, who was blessed or cursed with a shining, precognitive gift, saw visions hideously beyond the comprehension of a small boy. He sensed the evil coiled within the Overlook’s 110 empty rooms; an evil that was waiting just for them. Easton Press, Norwalk, CT. 2013. “Polaris” by Jack McDevitt. Signed first edition bound in luxurious genuine leather. One of only 900 copies. 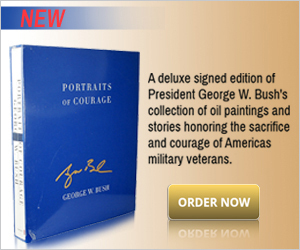 Includes Certificate of Authenticity and Collector’s Notes. Condition: Sealed. As New in the original shrink-wrap without any flaws. No bumped corners, etc. The condition is of the highest quality. Includes original COA and Collector’s Notes. Jack McDevitt brings back the daring Alex Benedict from A Talent for War, thrusting him into a far-future tale of mystery and suspense that will lead the prominent antiquities dealer to the truth about an abandoned space yacht called the Polaris. Limited Edition – Collector’s Edition. A great unique gift for yourself or for a loved one. Part of the 100 Greatest Books Ever Written published by Easton Press. Beautifully illustrated and bound in full genuine black leather. One of the most celebrated works of popular horror literature by a historical writer. A luxurious collectible for your home library of office. This is the famous 1897 Gothic novel by Abraham “Bram” Stoker. As New. Sealed in the original shrink-wrap. A wonderful bright clean copy. Free of markings, writings, or stamps. No attached bookplates or indication of any removed. Unread. A true classic for your home library or office. 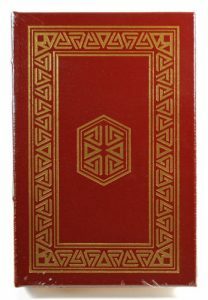 Easton Press, Norwalk, CT. 1965. 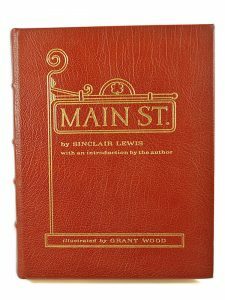 Sinclair Lewis “Main St”. Part of prestigious The Collector’s Library of Famous Editions collection. 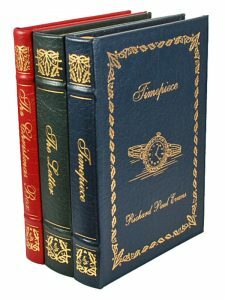 Beautifully illustrated and bound in full genuine leather. A rare collector’s edition that is hard to find, especially in this very fine condition. One of the most celebrated works of popular literature by a historical writer. A true classic for your home library or office. Includes the original NOTES FROM THE ARCHIVES. Easton Press leather bound complete with NOTES FROM THE ARCHIVES. 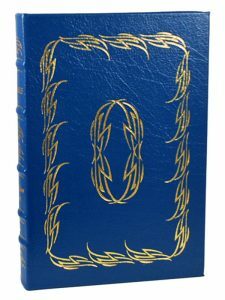 Easton Press 1965 First Edition. Plenty of bubble wrap for secure transit and reliable on-time delivery.